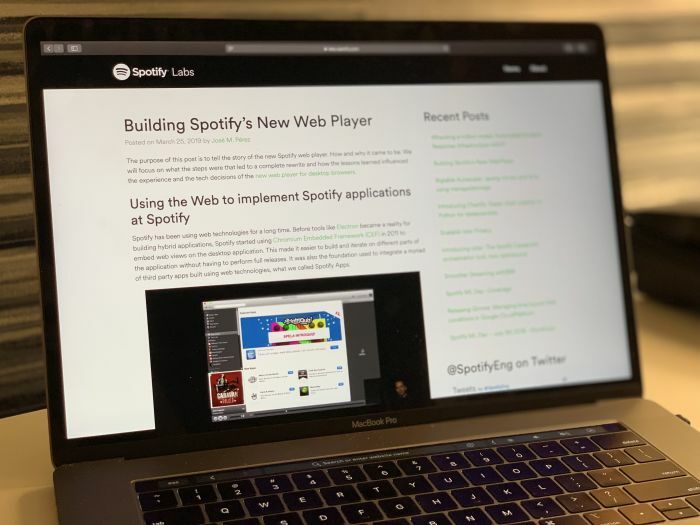 Spotify’s tech blog has just published my post Building Spotify’s New Web Player. I explain why we decided to start from scratch and write a brand new Spotify experience on the web, and how the team is thinking about the future of the project. Replacing a working product with a new one is a though decision, and doing it from scratch instead of iteratively always raises red flags. However, sometimes it’s the best option in order to move forward. Spotify’s web player has been my biggest challenge at Spotify. The most difficult one but the most rewarding. Read article on Spotify’s tech blog.